Eggs are rather rebellious as far as food items go. Crack one in a pan, and it will spread out just doing what it damn well pleases. However, as unruly as eggs can be, that doesn’t mean they can’t be tamed. 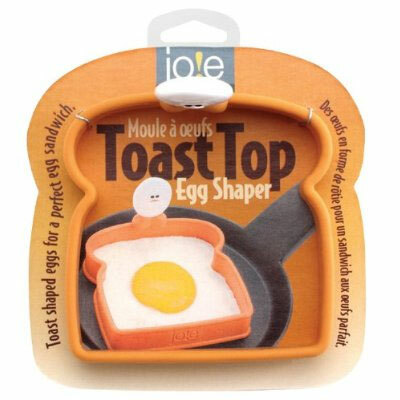 When it comes to breakfast sandwich construction, use the Joie Toast Top Egg Shaper to reel in wayward eggs. By the time the toast is done, you’ll have a well-adjusted egg, ready for it’s place in society the sandwich. how do i make the perfect egg sandwich !